At the beginning of the 20th century, there were plenty of buggy and automobile companies in the DeKalb County area. Today let’s take a look at one that didn’t start off in the transportation business: the Zimmerman Manufacturing Company. 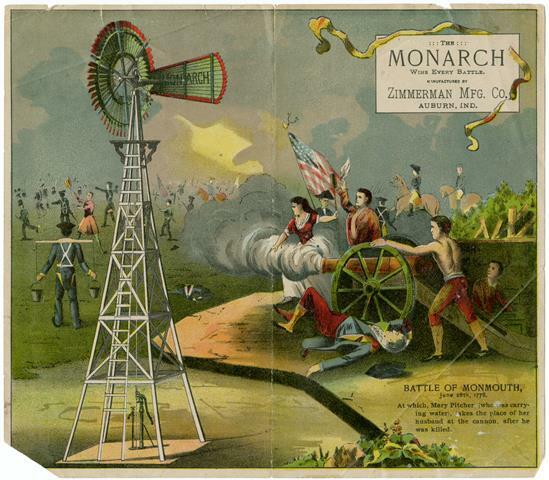 In 1907, the Zimmerman Mfg. 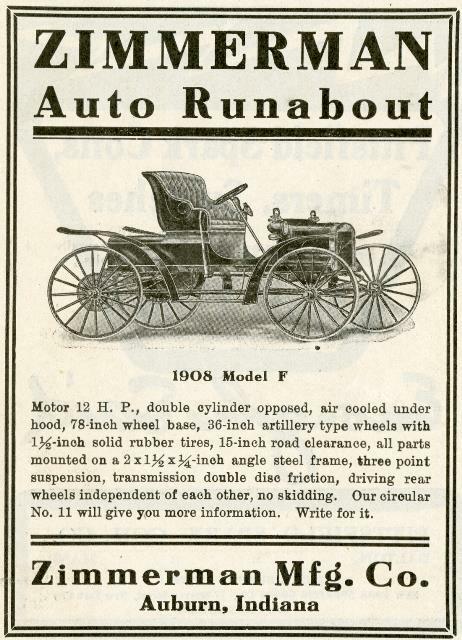 Co. began creating automobiles, starting with a single-seat runabout with solid rubber tires. In 1909, they released a standard four-cylinder car with pneumatic tires, and added a six-cylinder car in 1911. This second car, however, was actually manufactured by the Auburn Automobile Company in the Zimmerman plant, due to a contract between the two companies. 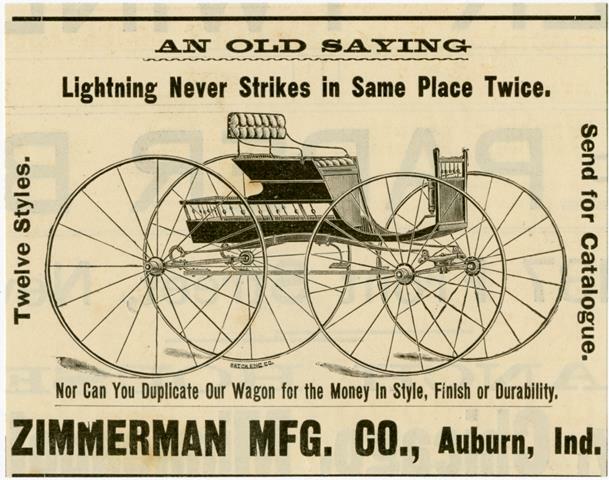 Gradually, the Auburn Automobile Company took over their competitor, consolidating their buggy lineups in 1914, and eventually buying Zimmerman’s remaining assets when the company finally dissolved in 1918. This entry was posted in Throwback Thursday, What's Up At Willennar. Bookmark the permalink.